Bush continued their West Coast tour with a stop at The Observatory, a great Orange County venue. Many fans were in line a couple of hours before showtime and their energy was already at a high level. A good number of them were discussing the band’s show the night before in Los Angeles and were looking forward to another night of rocking with the band. The Dead Deads, a five piece Nashville group, kicked things off and the fans were into it immediately. 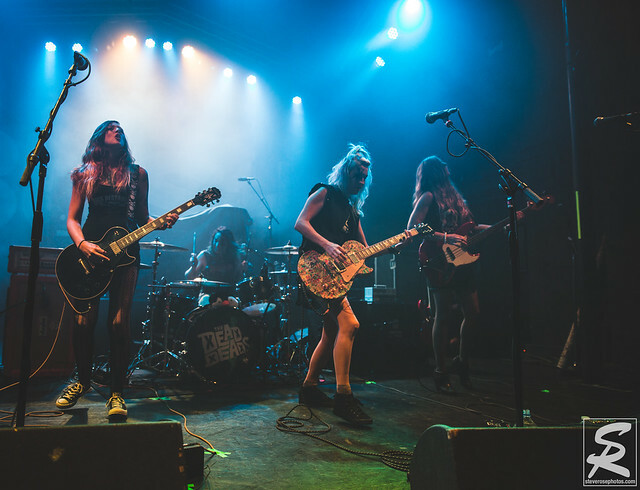 Their songs were consistently catchy and guitarists, Meta Dead and Betty Dead, did a great job playing out to the crowd as they worked the stage to get everyone involved. They were a fun band and a great choice as openers for Bush. Expect to hear more from them as they continue to pick up fans after each performance. Shortly after 9pm, the house lights went out and Bush took the fog covered stage to the roar of the crowd. 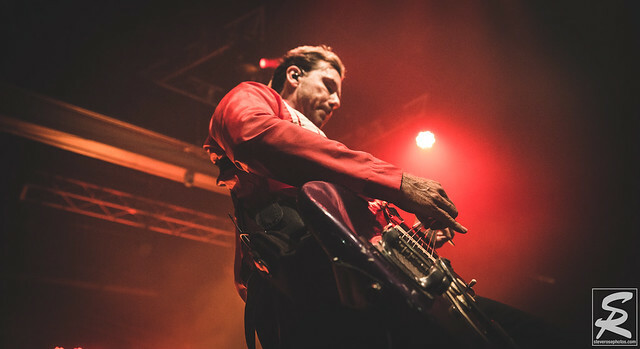 Gavin Rossdale, with a Fender Jazzmaster slung around his body, went out to acknowledge the fans before leading the band into Everything Zen, the widely popular song off of 1994’s Sixteen Stone. Gavin did a great job interacting with all of his fans and even went into the crowd and sang directly to select fans. Throughout the night, Bush played a great mixture of songs spanning across all of their releases and introduced a new song, Earth Keeps Burning. Rossdale and the band’s lead guitarist, Chris Traynor did a fantastic job all night playing these memorable songs and their chemistry on stage was evident. The rhythm section consisting of bassist, Corey Britz, and drummer, Robin Goodridge, were dialed in and kept the beat chugging throughout the night. After playing a fantastic cover of R.E.M.’s The One I Love, the band closed things out with Glycerine and Comedown, which were great choices to wrap up this awesome show. Bush put on a helluva show and should not be missed when their tour comes to your town. It was great to relive some of that classic 90s nostalgia and Gavin Rossdale is a dynamic performer who’s still got it.